Having personalized service is important when dealing with various wedding vendors. 1 of a Kind Karaoke is a comprehensive DJ in El Paso, TX with great flexibility to make all of their services tailored to each event. The first thing you need to do to reserve them for your big day is to call or meet them and go through a custom consultation in which you discuss the details of the event, your MC needs and most importantly, the music. 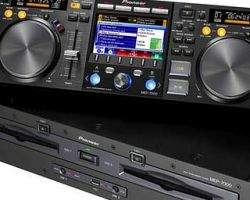 El Paso DJs Disco is a complete entertainment company. 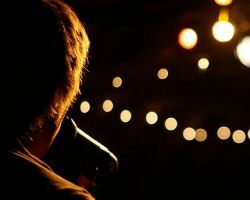 By providing professional music services, LED and laser lights, a fog machine, karaoke, and MC services, this company is able to make events come to life and keep everyone dancing late into the night. Contacting this company is the best way to reserve their services and find out more about what they can do to make your event special. Flexibility and quality service are the things that have made them the top choice for weddings, parties and proms alike. There are a few aspects of your wedding day that will make or break the party, the main one being the DJ services. 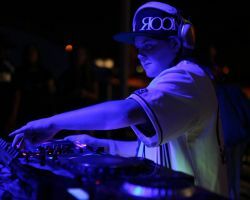 My El Paso DJ is the area’s premier music and events entertainment provider. Their talents are not only unmatched but so are their prices. 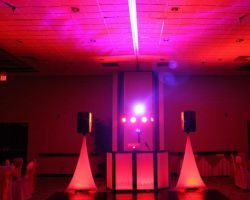 This El Paso DJ service is only $50/hour in their basic package, which includes lighting and a microphone for special announcements. This company will keep the party going through the night and make your event unforgettable. You do not have to break the bank for a high cost wedding DJ when you have the passionate talents of DJ Niel Mac’s affordable and high-energy services for your El Paso reception. This DJ is not bound by songs that are already popular and is able to create tracks that are all their own by combining the latest hits with interesting sounds and beats. There is no service that will make your party as unforgettable as the professional and fresh music entertainment provided by DJ Niel Mac. 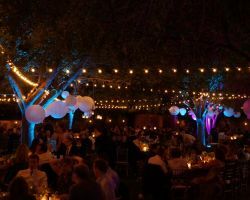 While some DJs in El Paso, TX simply come and play good music, Prime Illusion is a company that plays great music that suits your tastes and your event while also providing unbeatable MC services and entertainment using the latest equipment. This company has been known to bring any event they are at to the next level. For your wedding, they can play the appropriate music to build the excitement throughout the day and end with unforgettable dancing and fun. You can tell how good any wedding vendor really is by the reviews they have received from former clients and wedding DJs are no different. NC DJ Productions has clearly pleased all of their clients and often exceeded their expectations, which is made clear in their reviews. By using the best sound technology, they choose from their vast library of music to play songs and beats that will get everyone dancing and songs that are also appropriate for the occasion. Exceeding your expectations is what A&S Productions does best. This company is known for making a party fun and unique each and every time they are hired. They always provide great music and high-energy master of ceremony services which immediately set the tone for having a good time. 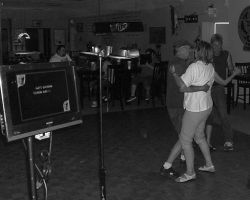 They can also provide karaoke; LED lighted dance floors and props as well as a photo slide show. They truly provide the best quality services for the lowest prices possible considering the amount of time and attention you will receive. 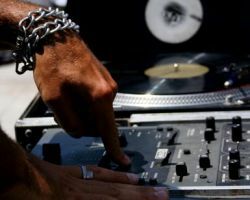 Music can enhance an event of any size, which is why many are turning to Sounds Familiar Mobile DJs for their professional El Paso Disc Jockey services. This company has a massive library of music, which includes pop, oldies, hip-hop, jazz, country, rock, kids music and more. All of the music they have is clean and thus can be played at any event they serve. 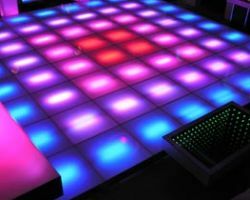 This company will not only provide the music but will also create a fun atmosphere using lighting, screens and projectors.